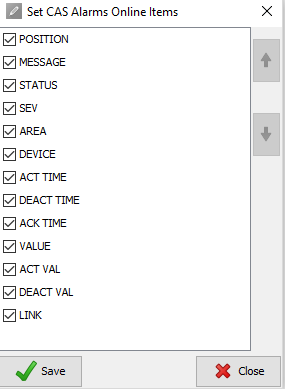 Online items – Will let you select what information you want to be displayed in CAS online alarms log. 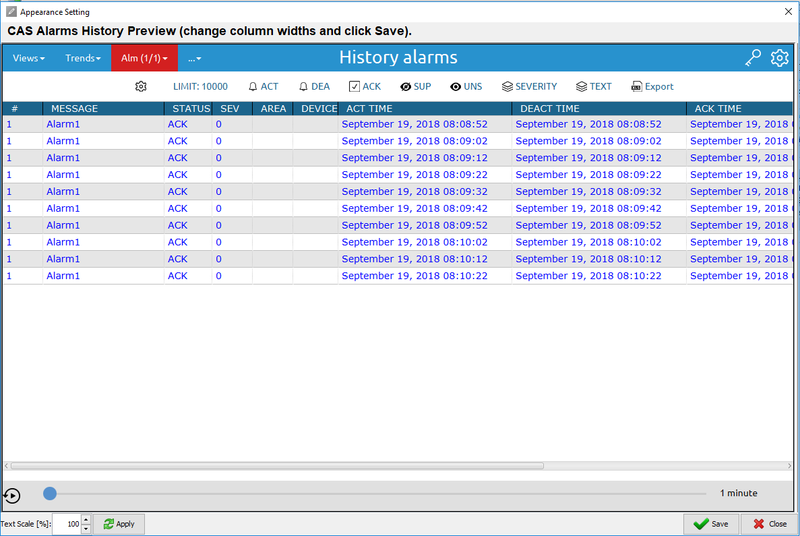 History items – Will let you select what information you want to be displayed in CAS history alarms log. 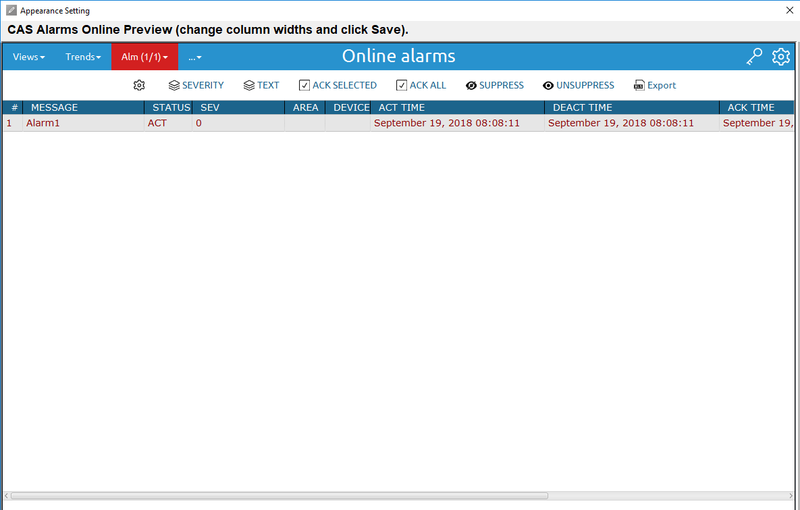 Online – If you click on “online” the new window will pop-up which is preview of online alarms where you can adjust columns to fit your text, how you adjust columns will transfer into runtime once you press apply. 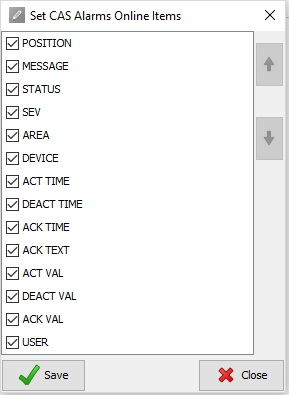 History – History is pretty same as online, but it’s for history alarms, so if you adjust columns there it will also transfer to runtime once you press apply.